Cortisol triggers cellular stress and causes your body to overproduce “health busting” hormones that weaken the body. Basil helps your body support healthy Cortisol levels. Basil is a powerful adaptogen. These are substances that attack “cellular stress” — a main cause of many age-related symptoms — by neutralizing harmful stressors inside your body. The ingredients in Advanced Basil Formula boost cardiovascular health, support healthy blood sugar levels, and improve your body’s ability to fight oxidation — by creating its own antioxidants. HELPING YOUR BODY FEND OFF THE MOST COMMON SYMPTOMS OF AGING. 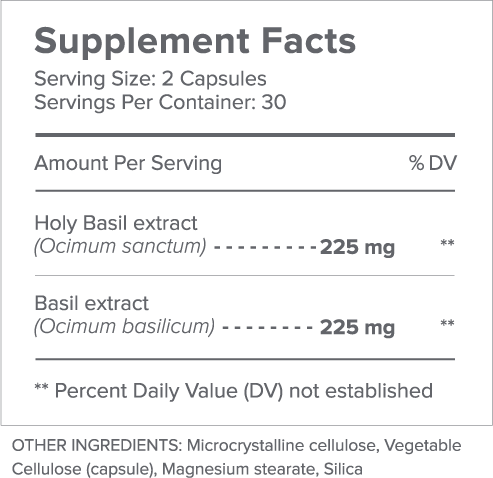 Advanced Basil Formula contains a whopping 225 mg of “Holy Basil” — one of the strongest forms of Basil available. By helping to balance Cortisol — a dangerous “stress chemical” that can lead to harmful effects if left unchecked — Advanced Basil Formula goes a long way toward sharpening cognitive function, supporting a strong immune system, and helping your cardiovascular system function at peak levels. 2 Jothie Richard E1, Illuri R1, Bethapudi B1, Anandhakumar S1, Bhaskar A1, Chinampudur Velusami C1, Mundkinajeddu D1, Agarwal A1. Anti-stress Activity of Ocimum sanctum: Possible Effects on Hypothalamic-Pituitary-Adrenal Axis. Phytother Res. 2016 May;30(5):805-14. doi: 10.1002/ptr.5584. Epub 2016 Feb 22. Activities of Ocimum Sanctum). American Journal of Ethnomedicine, 2014, Vol. 1, No. 1, 089-095. 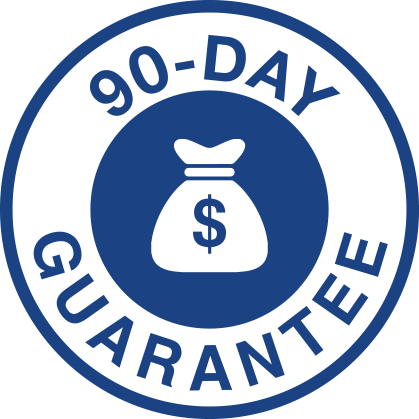 TRY GUNDRY MD ADVANCED BASIL FORMULA FOR 90 DAYS, COMPLETELY RISK FREE. If you’re not 100% satisfied with the way it makes you feel, or with the changes you notice in your focus, heart health, and overall wellness, I’ll refund your purchase. I’m that certain Advanced Basil Formula will help completely transform your health. Even if you’ve used up every last bit of Gundry MD Advanced Basil Formula, my US-based customer service team will STILL refund your purchase if you’re not absolutely thrilled with your results. I stand behind my products 100%, and I want you to feel confident when you try Gundry MD Advanced Basil Formula, at no risk to you. WHO SHOULD USE GUNDRY MD ADVANCED BASIL FORMULA? 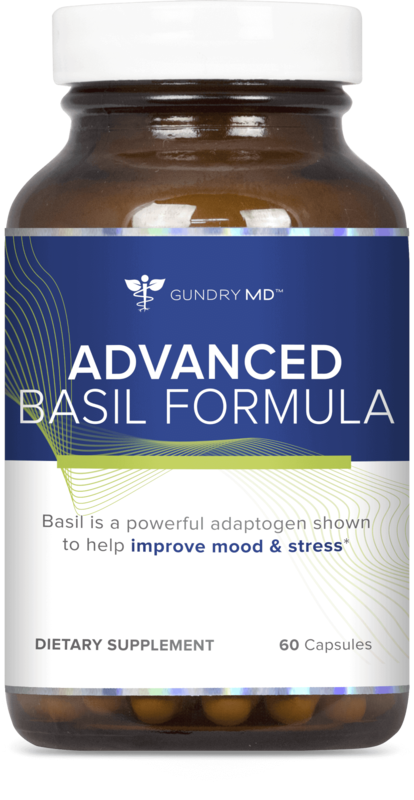 Gundry MD Advanced Basil Formula is ideal for anyone who wants to fortify their strength and support healthy immune function. 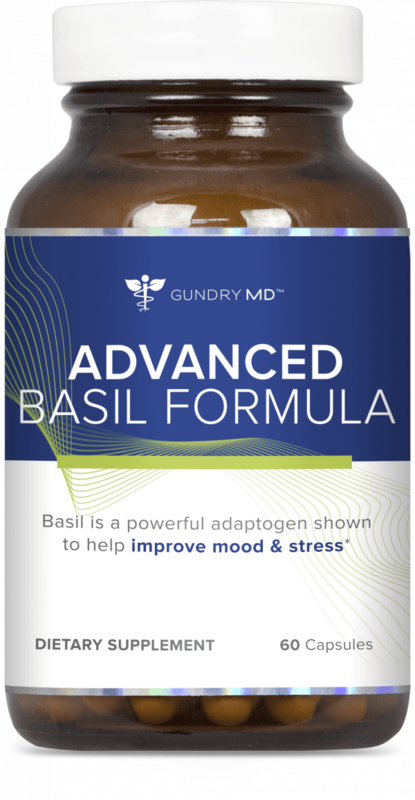 Gundry MD Advanced Basil Formula is designed to reduce “cellular stress” — the main culprit of many age-related symptoms. So, it’s perfect for people over 40 (that’s when cellular stress starts to take its toll) because it helps naturally maintain a healthy, balanced body from the inside out. HOW PURE IS GUNDRY MD ADVANCED BASIL FORMULA? Gundry MD Advanced Basil Formula contains only 100% natural and safe ingredients. The formula is tested for quality and purity at an independent, 3rd-party facility. However, as a physician I recommend consulting with your own health care provider before beginning any new supplement. WHAT’S INSIDE GUNDRY MD ADVANCED BASIL FORMULA? HOW DO I USE GUNDRY MD ADVANCED BASIL FORMULA? Using Gundry MD Advanced Basil Formula is so easy. Simply take 2 capsules once a day — I recommend with a little water in the morning — that way this formula can go to work in your body all day long. WHAT IF THIS FORMULA DOESN’T WORK FOR ME? WILL I BE BILLED AUTOMATICALLY? Your order will be processed as a one-time charge. When you’re ready to re-order, you can come back to this page on GundryMD.com, or call our US-based customer support team at (800) 852-0477.